It's a fairly modern trend to have your wash hand basin placed on top of the bathroom counter rather than sunk into it, but it's a design which is contemporary and a useful use of space. 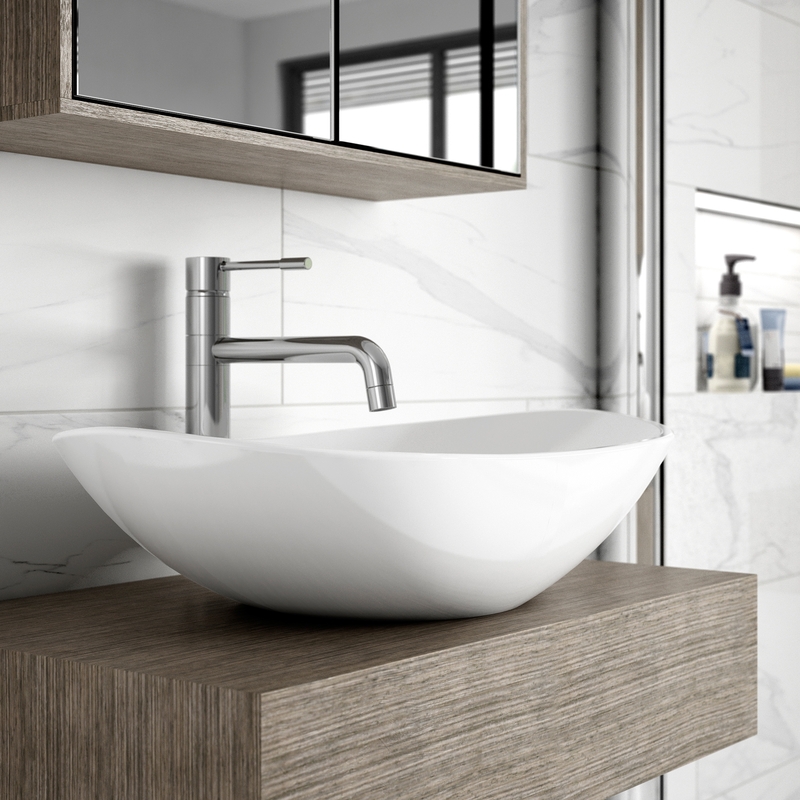 This Hudson Reed basin is designed to be used on the countertop, and the curved edges of the basin are elegant and modern. The perfect accompaniment for this style of basin is a tall spout tap, so choose from our wide range to complete the look. Countertop basins are no more complex to plumb in than any other style of basin, and all of the pipework is hidden away in the counter beneath. The basin is made from ultra-shiny vitreous china, known for its good looks and long lifespan. It's suitable for matching with a wide range of countertop styles too. Once in place, you won't just be able to enjoy your shiny new basin, but also the five year guarantee too.